Very simple page for my grandson's book. He was learning about giving gifts and made this for a surprise for me at Christmas. He was thrilled when I told him I was going to scrapbook it! Aww . . . how sweet! 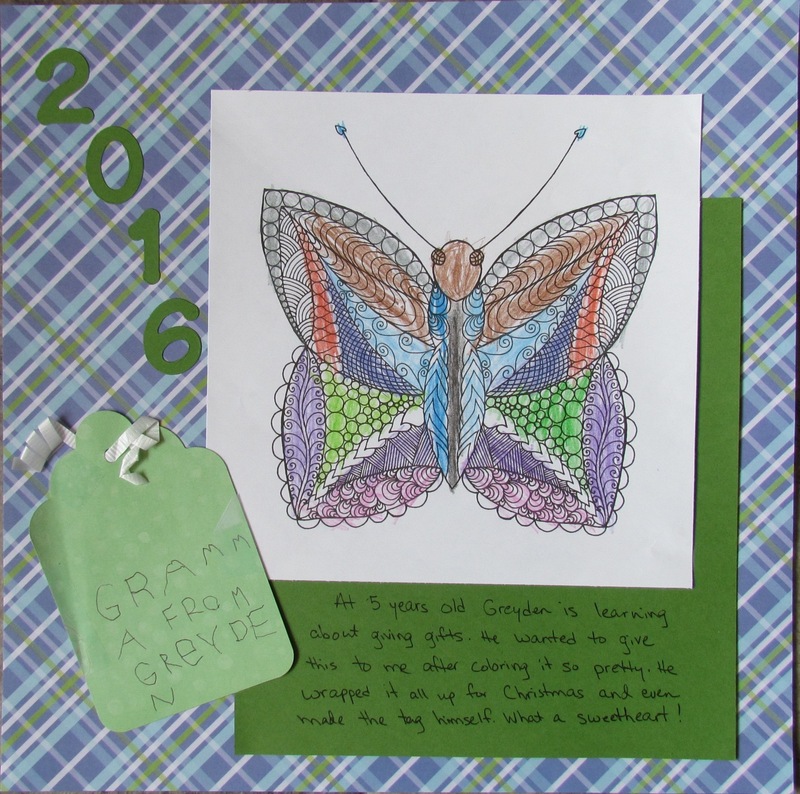 This is the best kind of gift a grandchild can give to their grammie. He sure did a great job of coloring for a five year old! Nice journaling a nice page!